These wonderful little looms are inexpensive and compact without sacrificing function and are for new and experienced weavers alike. Supplied with: 7.5 dpi reed, step-by-step instruction booklet, 2 shuttles, threading hook, warping peg and clamp. 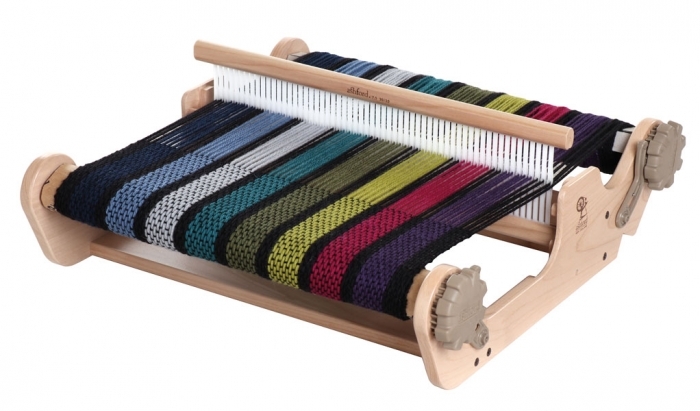 The 16″ / 400mm Sample It Looms take 16″ / 400mm Rigid Heddle Reeds and Varident Reeds.